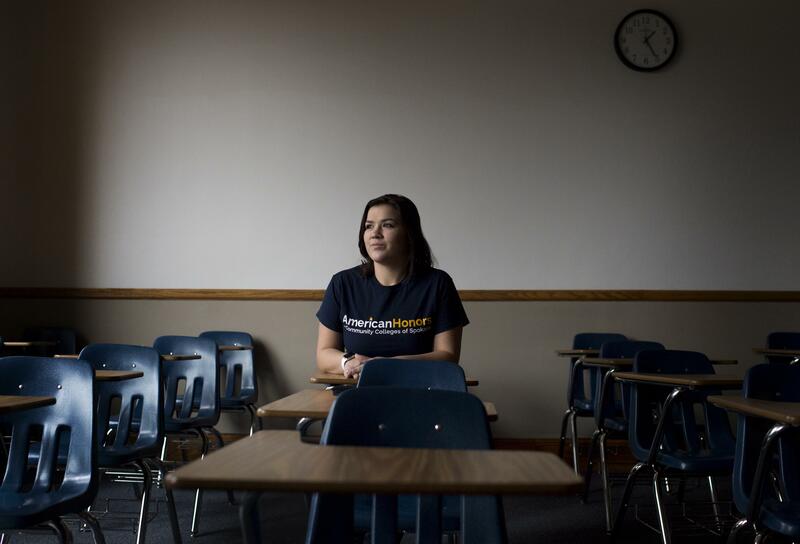 Sun., Dec. 11, 2016, 6:15 a.m.
A national for-profit honors program offered at Community Colleges of Spokane has drawn scrutiny for making claims that some parents and higher education officials say don’t live up to promises. One parent filed a complaint against American Honors, alleging to the Washington state attorney general’s office that the program is misleading about what it does for students and how much it costs. The parent’s child attended Shoreline Community College and was recruited by American Honors. On top of normal tuition, students enrolled in the program in Spokane pay $450 per quarter and international students pay $1,000 per quarter, according to the contract between CCS and American Honors. Additionally, the community colleges pay American Honors a percentage of the students’ tuition fees – 35 percent for American students and 45 percent for international students. In return, the program promises that enrolled students will receive enhanced counseling, mentoring, rigorous classes and the streamlined transfer of credits to four-year universities. Officials at Community Colleges of Spokane and at American Honors disagree with the complaints and defended the program’s cost. The Community Colleges of Spokane have not received any complaints about the program. The company partners with nine community colleges across the nation, including three in Washington, according to its website. Additionally, the company says it is affiliated with about 60 four-year universities. Some of the universities listed as American Honors transfer partners indicated American Honors students do not receive any preferential treatment, other than name recognition. And at least one four-year university, Louisiana State University, said it had “no affiliation with American Honors” despite being listed as an “assured” transfer school on American Honors’ website. Greg Orwig, the vice president of admissions at Whitworth University, said American Honors does give students a “level of greater assurance.” Whitworth is listed as an “assured transfer” institution. Students who paid to be in the American Honors program and have a 3.0 GPA and complete other admissions criteria will be accepted to Whitworth, Orwig said. He added, however, students who are not part of the American Honors program but who meet the same criteria would also likely be accepted. Orwig has been impressed with the people he’s worked with from American Honors, although he said he was disappointed the program didn’t send Whitworth more students. Three American Honors students have transferred to Whitworth in the two years the programs have been partnered. Alma, a private liberal arts college in Michigan, is listed as an assured transfer school. Silverthorn, however, also said that if two students with similar academic backgrounds applied to the school, the one with an American Honors designation wouldn’t have an advantage. “We would recruit both of them, if they were qualified,” he said. Hallie Savage, executive director of the National Collegiate Honors Council, said a problem with American Honors’ transfer system is that it overlooks the complexity of transferring from a community college to a four-year college. “Everybody wants to make it simple, but it’s probably not very simple at all,” she said. Randi Cosentino, the chief operating officer for American Honors, said the transfer network is simply trying to do what community colleges do locally – create rapport with four-year schools. However, unlike community colleges, Cosentino said, American Honors is able to do it nationwide. James Cotter, the director of Michigan State University’s office of admissions, said American Honors students still have to fulfill normal academic requirements to be accepted to MSU, much like any other student. MSU is an assured transfer institution in the American Honors network. Cosentino, American Honors’ chief operating officer, said the language on the website is referring to the fact that community colleges are cheaper than four-year colleges. She said American Honors isn’t targeting traditional community college students, instead trying to recruit students who might otherwise go to a four-year school. “We work with the community college to make the price differential explicit on the phone, in the visual materials, on the website, and in the intent to enroll that the student signs (and of course, finally, on their bill),” she said in an email. About a third of the 434 American Honors students in Washington report a family income of less than $40,000 a year. The counselor told McCulloh the company would contact her students late at night, calling them on their cellphones. The counselor declined to be interviewed, but did substantiate McCulloh’s concerns. Stacy Rice is the honors coordinator at Northern Virginia Community College and a board member of the National Collegiate Honors Committee. American Honors approached her college several times, she said. Rice said there is no one-size-fits-all transfer agreement between a community college and a four-year institution. Most colleges rely on mutual understanding and a relationship between counselors. That was an additional reason Northern Virginia Community College chose not to work with American Honors. American Honors students interviewed for this story said they were happy with their experience in the program, citing the easy access to advisers as one of the highlights of the program. Colton Siegal said he first became aware of American Honors in high school after the company sent him emails. He’s found American Honors advisers to be helpful throughout his college experience. “I like having that safety and security of knowing exactly what I need to do to graduate,” he said. Corinne Cahill agreed with Siegal. Cahill graduated from Spokane Falls Community College in spring 2015 and is now attending Gonzaga University. She said the advisers “pushed her” and the honors classes gave her a sense of community. “I actually think they pushed me more than I was going to push myself,” she said. Brockbank, the vice provost at the Community Colleges of Spokane, said the biggest benefit of American Honors is the counseling and support services the company provides. Cosentino also emphasized the importance of the counselors and advisers who are on hand to help students. Carla Naccarato-Sinclair, the president of the Community Colleges of Spokane’s faculty union, said she had concerns when the program first came to Spokane. Now, she said, faculty control the nature of the content taught by American Honors and help decide whom the program accepts. She said in the early days, some of the students accepted into the program weren’t academically prepared; however, that has changed as the admission requirements have been strengthened. And while Naccarato-Sinclair thought the program’s claims about being able to help students get into elite four-year schools may be exaggerated, she does think the support services they offer students are valuable. American Honors was started five years ago by Quad Learning, a company based in Washington, D.C. At the time, it received $11 million in financing and positive media coverage. The program was first used in Spokane, and industry journal Inside Higher Ed said that’s because Community Colleges of Spokane Chancellor Christine Johnson was acquainted with American Honors co-founder Chris Romer. Romer was a Colorado state senator, and Johnson was president of the Community College of Denver until 2007. A spokesperson for Johnson confirmed the two knew each other. This story has been updated for clarity. The original version did not indicate that the complaint was filed by a parent on the west side of the state. Published: Dec. 11, 2016, 6:15 a.m.